HowMechanismWorks ? 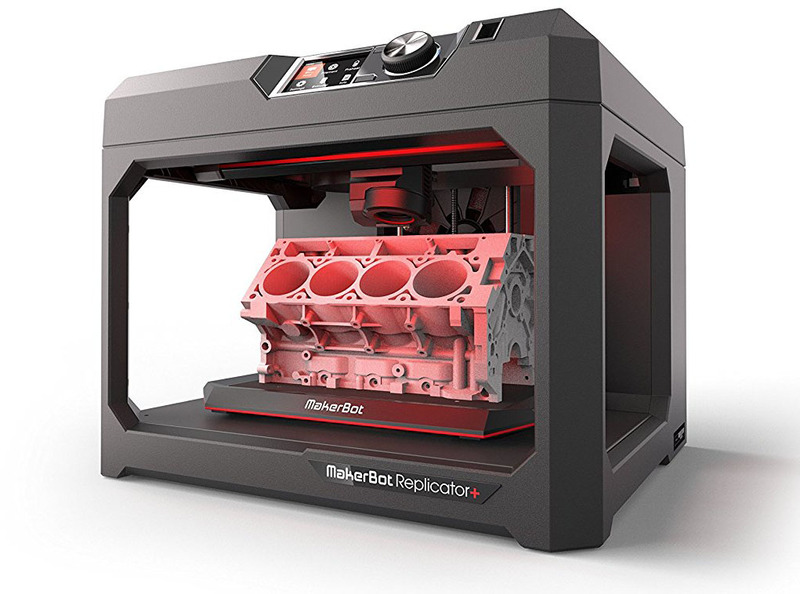 : How 3D Printing Technology Works? How 3D Printing Technology Works? 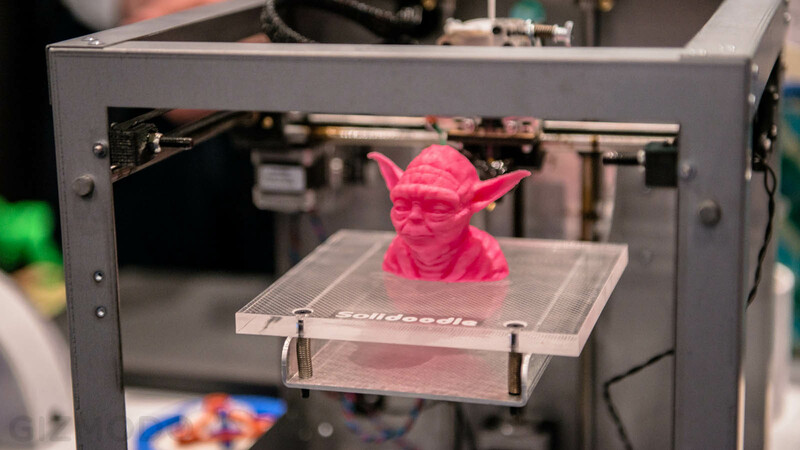 3D printing also called additive manufacturing process which makes three dimensional solid objects from a digital file with material being added together (such as liquid molecules or powder grains being fused together). But there are some common features for all Addictive Manufacturing, such as usage of computer together with special 3D modeling software. First thing to start this process is to create CAD sketch. Then AM device reads data from CAD file and builds a structure layer by layer from printing material, which can be plastic, liquid, powder filaments or even sheet of paper. In fact, all 3D printing technologies are similar, as they construct an object layer by layer to create complex shapes and 3D printing is used in both rapid prototyping and additive manufacturing (AM). Objects can be of almost any shape or geometry and typically are produced using digital model data from a 3D model or another electronic data source such as an Additive Manufacturing File (AMF) file (usually in sequential layers). There are many different technologies, like Selective Laser Sintering (SLS) , fused deposit modeling (FDM) and Laser Metal Deposition. The Selective Laser Sintering (SLS) process uses aP powdered polymer build material, typically nylon, is transferred from containers holding fresh powder material onto the build stage in the process chamber with a recoating tool. A highpower laser then selectively scans the thin layer of powder, sintering together powder particles in the shape of the cross-section of the first layer of the 3D part. The build platform then descends one layer depth and the recoater transfers more fresh powder from the hopper to the surface of the first layer. Just like the first layer, the second cross-section of the 3D model is scanned and sintered. The laser scanning process simultaneously generates the current layer and adjoins it to the previous layer, making a solid part. Compared to other additive manufacturing processes such as stereolithography (SLA) and Fused Deposition Modeling (FDM) or Fused Filament Fabrication (FFF), Selective Laser Sintering (SLS) does not require support structures since the powder acts as self supporting material. This allows intricate and complex geometries to be constructed. Fused Deposition Modeling (FDM) Technology is at the very entry of the market as it mainly used by individuals. It is probably the most popular printing method due to the number of printers available on the market. FDM is an affordable 3D printing process compared to other 3D printing technologies. This process works by material being melted and extruded through a nozzle to 3D print a cross section of an object each layer at a time. The bed lowers for each new layer and this process repeats until the object is completed. Layer thickness determines the quality of the 3D print. Some FDM 3D printers have two or more print heads to print in multiple colours and use support for overhanging areas of a complex 3D print. A melting technique, which allows powders to settle and with the help of lasers apply heat to create shapes. Currently, it works on iron, nickel-based, cobalt based alloys, tungsten and various metal powdered coated metals. Once your design’s ready, all you need to do is import it into a open source print software. Then it will turn your design into a gcode file ready to be printed as a physical object. Simply save your file to the supplied USB stick and insert it into your Ultimaker and press print. But how does the printer work? (4) Creating your object layer by layer. Once the printer starts printing, all you have to do is wait – it’s that easy. Aerospace – Air ducts, fixtures or mountings holding specific aeronautic instruments, laser-sintering fits both the needs of commercial and military aerospace. Manufacturing – Laser-sintering can serve niche markets with low volumes at competitive costs. Laser-sintering is independent of economies of scale, this liberates you from focusing on batch size optimization. Medical – Medical devices are complex, high value products. They have to meet customer requirements exactly. These requirements do not only stem from the operator’s personal preferences: legal requirements or norms that differ widely between regions also have to be complied with. This leads to a multitude of varieties and thus small volumes of the variants offered. Prototyping – Laser-sintering can help by making design and functional prototypes available. As a result, functional testing can be initiated quickly and flexibly. At the same time, these prototypes can be used to gauge potential customer acceptance. Tooling – The direct process eliminates tool-path generation and multiple machining processes such as EDM. Tool inserts are built overnight or even in just a few hours. Also the freedom of design can be used to optimize tool performance, for example by integrating conformal cooling channels into the tool.